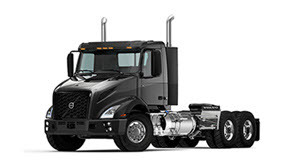 The annual North American Dealer of the Year award recognized General Truck Sales of Muncie, Indiana and its employees for outstanding performance in a number of key areas, including growth of new truck sales, parts sales, customer satisfaction, dealer operating standards, franchise investment and support for other dealers. 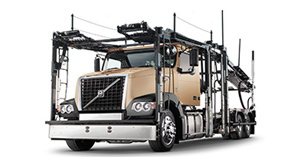 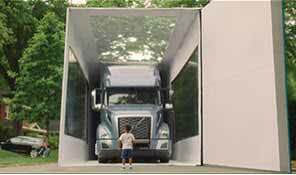 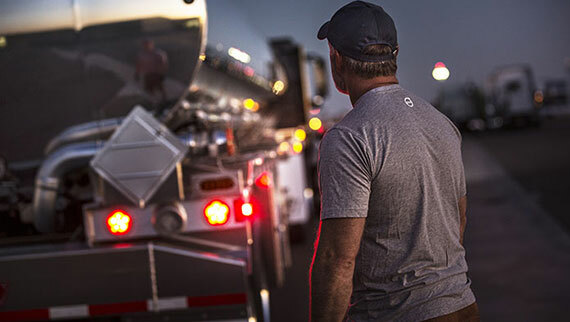 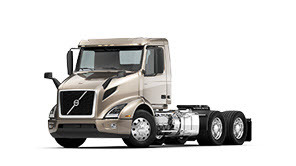 General Truck Sales leveraged Volvo’s new VNL, VNR and VHD model families in straight truck and tractor applications to penetrate new markets, and has continued to invest in its facilities and service operations as a Certified Uptime Dealer. 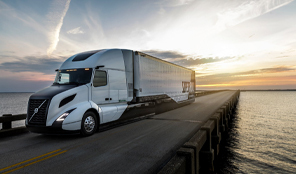 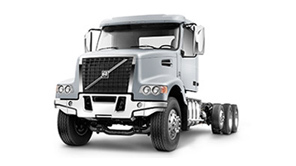 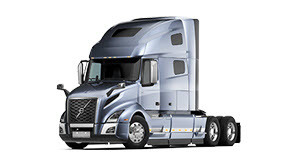 General Truck Sales has been in operation since 1958 and has a track record of success under Bassett’s leadership, having previously been named Volvo Trucks’ North American Dealer of the Year in 2006, 2010 and 2016. 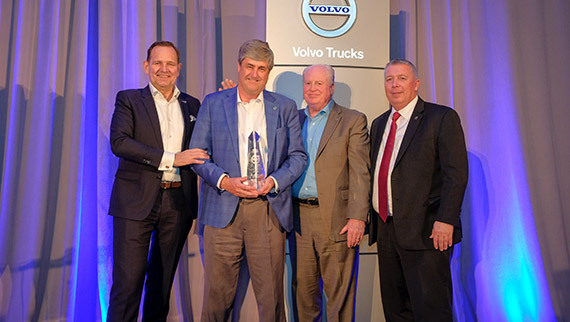 CAPTION: General Truck Sales dealer principal Steve Bassett (left of center) receives the award for the 2018 Volvo Trucks North American Dealer of the Year from (left to right) Peter Voorhoeve, president, Volvo Trucks North America; Bill Hubbartt, regional vice president, central U.S. region; Bruce Kurtt, senior vice president of U.S. sales for Volvo Trucks North America.